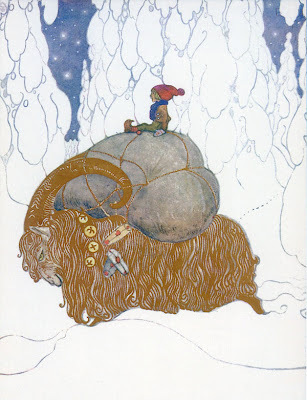 Once Upon A Blog...: The Christmas Goat - Santa's Predecessor? The Christmas Goat - Santa's Predecessor? The Yule Goat is one of the oldest Scandinavian and Northern European Yule and Christmas symbols and traditions. Yule Goat originally denoted the goat that was slaughtered around Yule, but it may also indicate a goat figure made out of straw. It is also used about the custom of going door-to-door singing carols and getting food and drinks in return, often fruit, cakes and sweets. 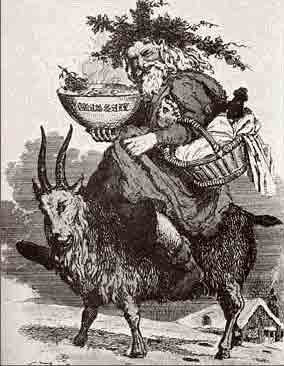 "Going Yule Goat" is similar to the British custom wassailing, both with heathen roots. The function of the Yule Goat has differed throughout the ages. In Finland, the Yule Goat was originally said to be an ugly creature that frightened children, and demanded gifts at Christmas. In Scandinavia, people thought of the Yule Goat as an invisible creature that would appear some time before Christmas to make sure that the Yule preparations were done right. During the 19th century its role shifted towards becoming the giver of Christmas gifts, in Finland as well as the rest of Scandinavia, with one of the men in the family dressing up as the Yule Goat. The goat was replaced by jultomte or julenisse (Father Christmas/Santa Claus) at the end of the century, and the tradition of the man-sized goat disappeared. You may also be interested to know the tradition* of having a 'Christmas Ham' as part of a Christmas dinner is thought to be related. *You can find a lot of well summarized information and stories about the origins of Christmas traditions (including the Christmas Tree - you'll need to scroll down a bit for that one) HERE. I like to read mitology of europe!! santa its not just coca cola ejejeje!! nice entry. Huh, this is really interesting. Thank you for researching and sharing this; I am now going to go learn more about the Christmas Goat! 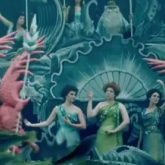 The Enchanted Conversation Begins... Tomorrow! 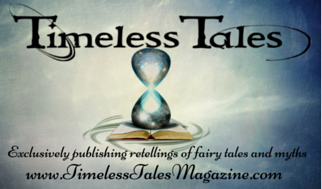 "Pursuit of Happiness" Giveaway Prize Peek!